It’s not just rugby stars who are awarded with the prestigious Bledisloe Cup. 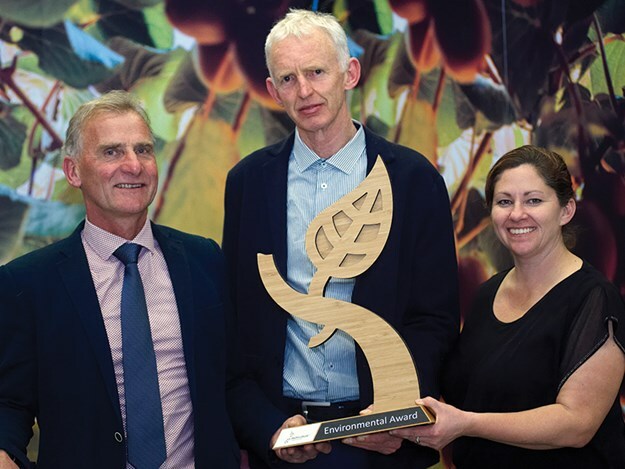 Outstanding leader in the kiwifruit industry, Peter McBride, was recently presented with horticulture’s premier award, also called the Bledisloe Cup. Similar to the famous rugby Bledisloe Cup, horticulture’s version was one of three cups Lord Bledisloe presented to New Zealand in 1931. The Cup was presented by Agriculture Minister Damien O’Connor to Peter McBride, whose involvement with the kiwifruit industry spans 40 years. 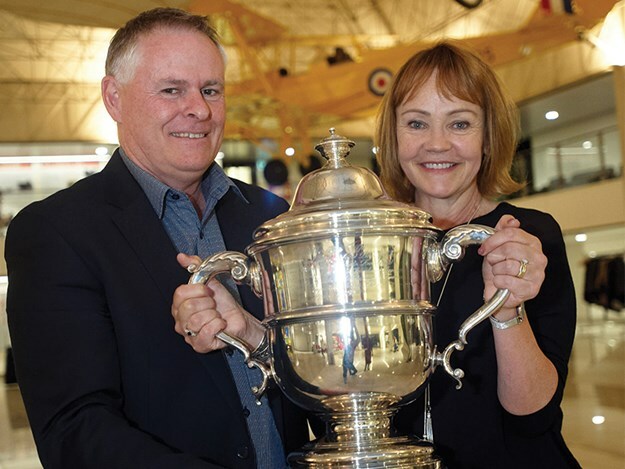 "The Bledisloe Cup celebrates a person who has made an outstanding and meritorious contribution to the New Zealand horticulture industry, and Peter McBride certainly epitomises that," Horticulture New Zealand president Julian Raine says. "In 1978, Peter was first exposed to the New Zealand kiwifruit industry through his family’s orchard in Te Puke in the Bay of Plenty. He went on to purchase his first kiwifruit orchard in 1989, and today, he has responsibility for several large farming companies and heads one of New Zealand’s key horticulture companies as the chairman of Zespri Board. For the first time, Horticulture New Zealand presented an Environmental Award going to James Trevelyan from Te Puke in the Bay of Plenty. "James Trevelyan proudly and publicly supports the environment while providing tasty, healthy, nutritious fruit to the world. In 2017, his family-owned company produced a report, ‘Our Journey Toward a Sustainable Future’ that states sustainability is a journey that requires ongoing development, innovation, collaboration, and commitment," Julian says. Other awards presented at the Horticulture Conference 2018 were: President’s Trophy – Tim Egan; Industry Service Awards – Garry Elliott and Graham Martin; and Horticulture New Zealand Life Membership – Earnscy Weaver.